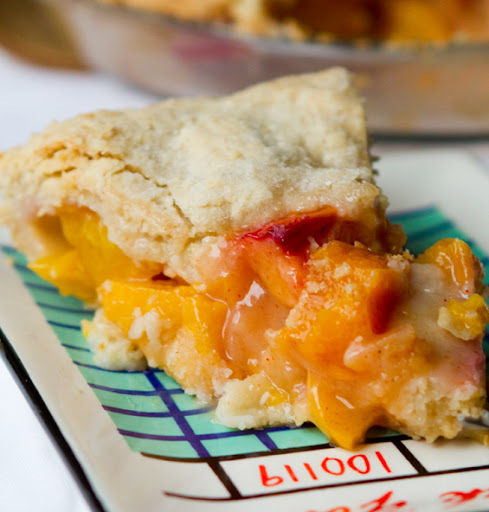 Kathy's Summer Peach Pie. How-to Video! 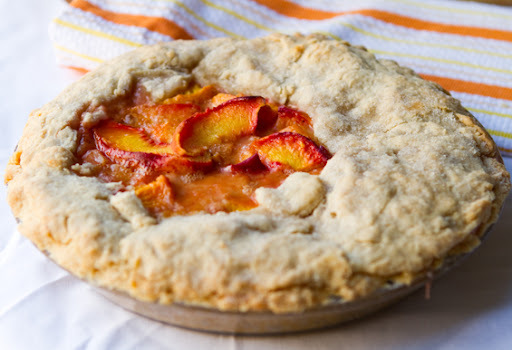 My Vegan Summer Peach Pie is rustic and delicate. Sweet and spiced. Light yet rich. Tart and buttery. I add a few unique flavor accents to my pie - a hint of cayenne and a dash of cinnamon. Butter (vegan! 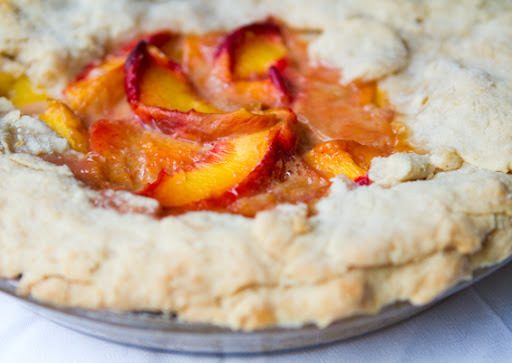 ), spices, peaches - dessert heaven. And that flaky homemade crust? Easier than you think. 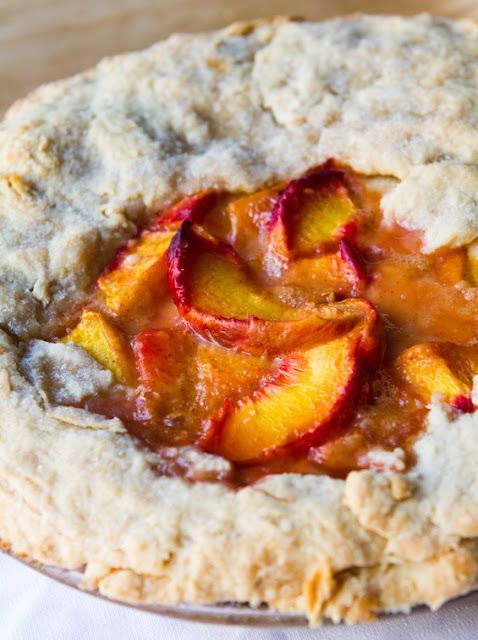 So grab a bag of fresh summer peaches, pull on an apron - and dust some flour on your nose. 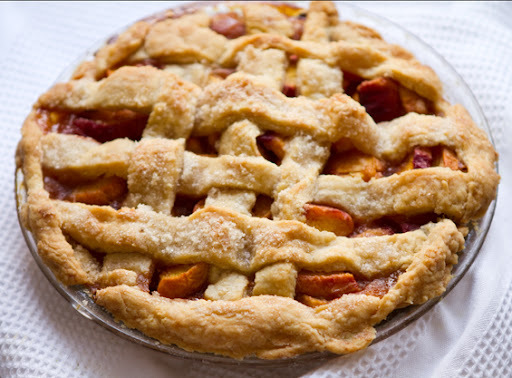 It's summer pie baking time! More of Kathy's Cooking Videos. Spicy Pie. 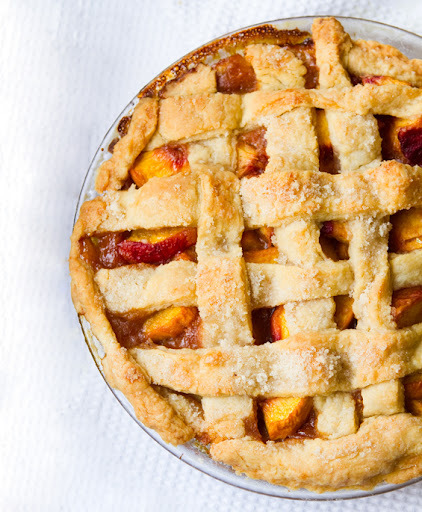 My favorite twist on "peach pie" is to add in spice - almost like a cinnamon-y apple pie. 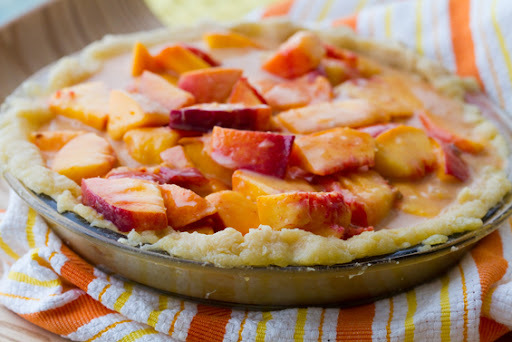 The sweet, tender peaches are coated in a light, spicy warmth that makes them sing. 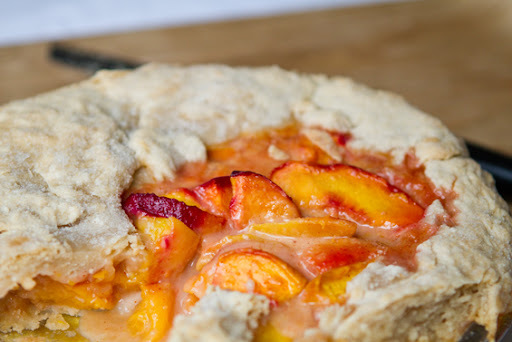 Fresh peaches float on the par-baked crust. Ready for the top layer and a good 50 minutes in the oven..
No need to remove the peach skin. Those skins add so much color, texture and nutrients!.. 1. Crust. Use my technique in video to mix up the pie crust. Press out 1/2 of the dough into pie dish. Bake at 350 for ten minutes. 2. Peaches. 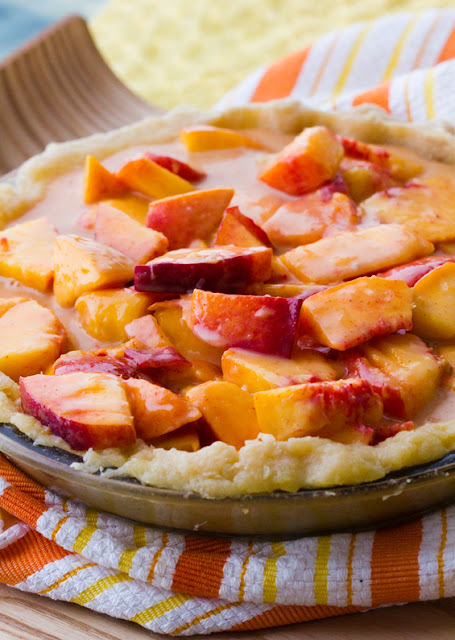 Fold the peaches into the filling ingredients. 3. 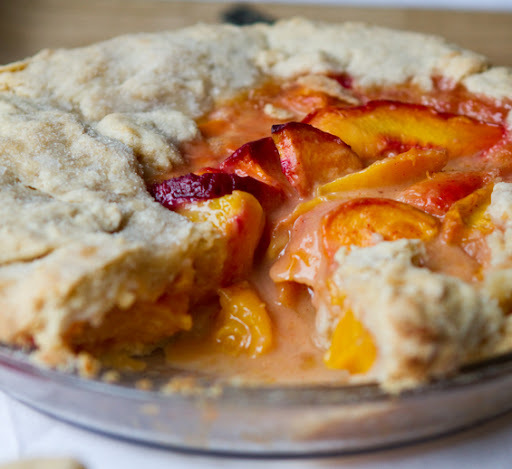 Pull the crust from the oven and pour in peaches. Dot with your 1/4 cup cubed butter. Grab chilled dough (other half) and roll out. Slice into strips. Arrange on top. 4. Bake at 350 for 55 minutes. Cool. Serve warm. 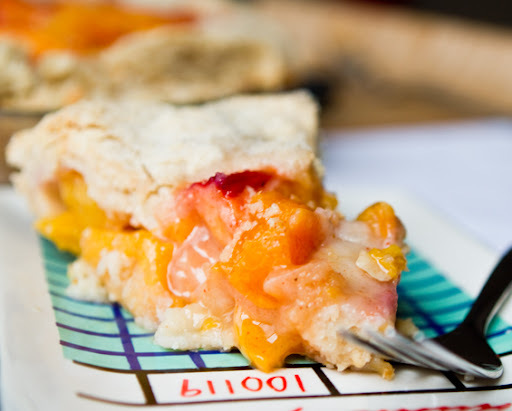 Rustic Pie. Perfection need not apply.